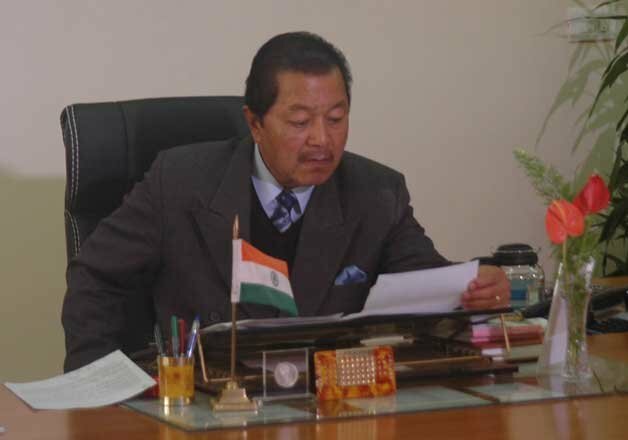 Aizawl, Feb 4 : BJP today dismissed as “baseless and false” the allegation of Mizoram Chief Minister Lal Thanhawla that the saffron party was having nexus with militants of the Hmar People’s Convention (Democrats). Lal Thanhawla on Friday alleged that the BJP was having secret dealings with the HPC(D) leaders and had promised a separate autonomous district council for the Hmar inhabited area in the north eastern part of the state adjoining Manipur if BJP won a specific number of seats in the village council elections, to be held in March. BJP termed the Chief Minister’s statement as “false and baseless” and alleged that the Congress government headed by Lal Thanhawla was refusing to fulfill the terms of the accord signed with the Hmar People’s Convention (HPC) in 1994.